Rayon-backed tape with an aggressive zinc oxide adhesive. Recommended for patellofemoral taping and shoulder taping techniques. Specified for use with Cover-Roll Stretch Bandage. Contains latex. Rayon-backed tape with an aggressive zinc oxide adhesive. 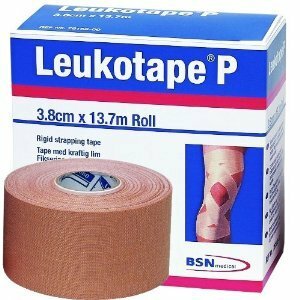 Recommended for patellofemoral taping and shoulder taping techniques.